Discussion in 'Gadgets and Consumer Electronics' started by MajinBuu, Jul 26, 2012. I'll soon be turning 23 this August , & me Ma' is gifting me a Watch & i have no Idea which one to choose . Currently have Timex IronMan Traithlon . 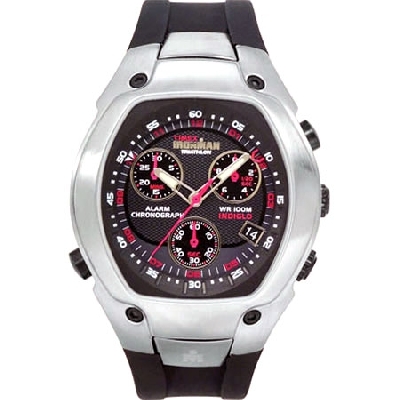 Req : Chronograph , Ceramic Strap ( optional ) . Dude for 15k, you can buy like 3 chronos from Titan ( there is a 20-40% flat sale going on ). I bought some about a year back, and they are really well built and great quality. Or else do consider the Pro-Trek range from Casio ( 17k ), Superb watches!! I will for first one. Casio edifice/Citizen ecodrive. Nuff Said. Thanks for the replies , Guys i have a small wrist , so Casio edifice might look Freakishly large on my wrist. any more suggestions ? Casio Gshock Mudman series. 4-5k, will look good on small wrist. I use a casio edifice i picked up from Germany back in 2007.. sometimes i myself cant believe the build quality and the abuse this watch takes. Casio's quality is top notch, Gshock or not. 15k is a superb budget. Not only are Casio's Protrek range within reach or a good high end models of the G-shock range, but also Citizen should have some good lookers for that price. Citizen is another lovely brand. My family has owned the Ana-digi Temp range of Citizen for years!! still goes strong! Pro-Trek - man after my own heart! Yes please! I've got my eyes on one for my bday coming up nxt month! Sigh... temptation there's sooo much of it around! There are a couple of shops here near Dadar TT in mumbai which have their stock clearances going on. I find it best to pick up one during these sales cos they'll usually be quite happy to get rid of outgoing models for a decent discount. You could try a few places in your area? But usually by September, the new stuff already comes in. Till then check this out ..
eBay.in dotStyle - Fabulous Prices on must-have products. House full of Brands like Davidoff, Puma, Lovable, Ferrari, Gucci, BHPC, Hugo Boss & more. Citizen Eco Drive or Casio Edifice. True good stuff.